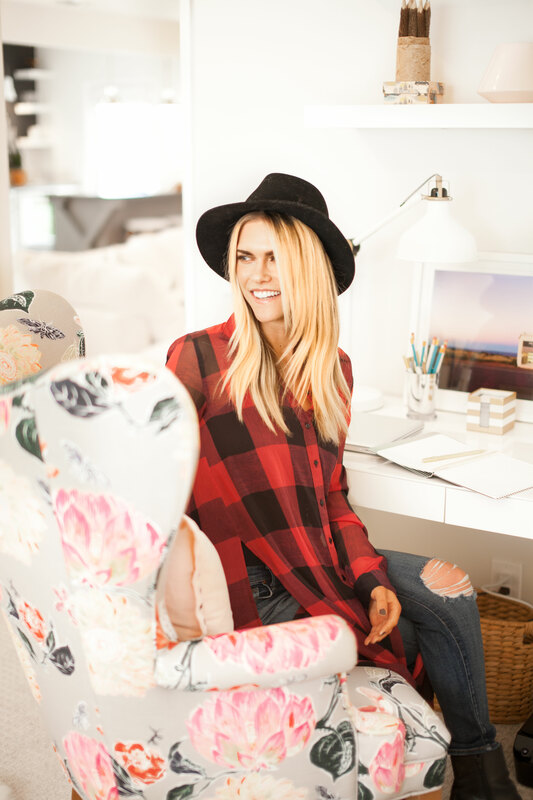 I'm super excited to share today's Inspiration Spotlight with you all. 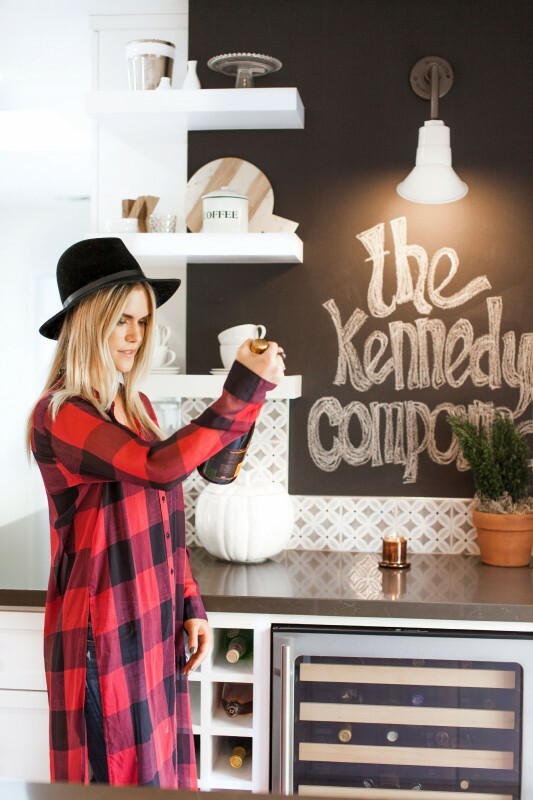 Lauren Scruggs Kennedy and I have been chatting via email for months now, but it wasn't until just before the holidays that I had a chance to visit her in her home. "Jason and I live on Laurel Canyon and absolutely love the quiet escape from the city. Jason is the host of E! News, and is the best at what he does in my unbiased opinion. ;) and I have a range of passion projects: I am a blogger, an author of two books, the founder of the Lauren Scruggs Kennedy Foundation (in progress! ), and I have a hair product that is launching so soon! We love going on hikes in our neighborhood, relaxing at the beach, and spending time with our family and close friends." See what I mean? This girl keeps herself busy! When she first reached out to me via email, I was flattered to hear that she was a fan and naturally even happier to learn that she and her husband were in need of some artwork for their new home, which is always music to my eyes. I love getting to help when it comes to decorating! Wow! I have to say, this is such a cool take on a gallery wall. I really love the combinations of mediums and the overall color palette is definitely on point with what they're original inspiration words were, natural light and beach-inspired. "Jason and I have such a love for chill beach environments, and we both felt so drawn to this piece as it reflected just that. The colors in the print were perfect for our design vision as well, which just happened to be a bonus! 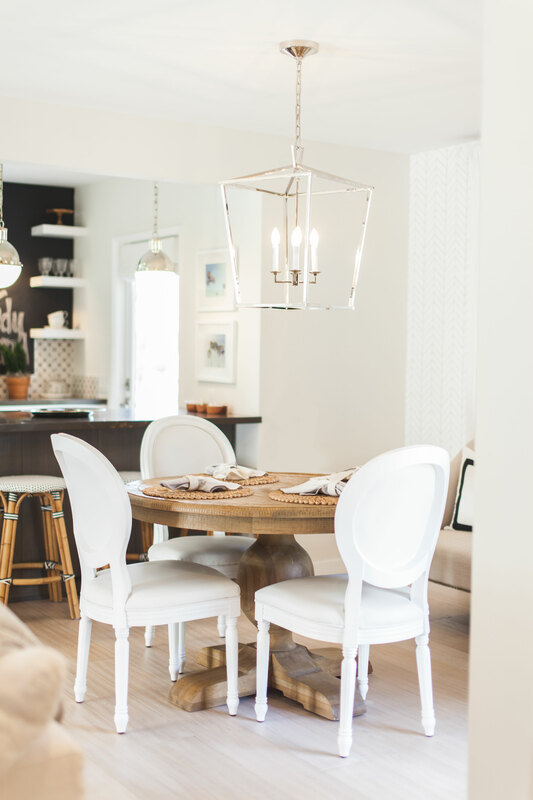 We have this piece hanging in our dining room, and it has truly formed the entire layout of our color scheme throughout the house." I couldn't be happier that Jason and Lauren are so happy with their selection of Hamptons Blue Umbrellas. The dining room is actually right to your left as you walk in, so it's very cool that the gallery wall makes such an immediate statement. Walking further into their home, though it's clear that they achieved that neutrals and cozy vibe. 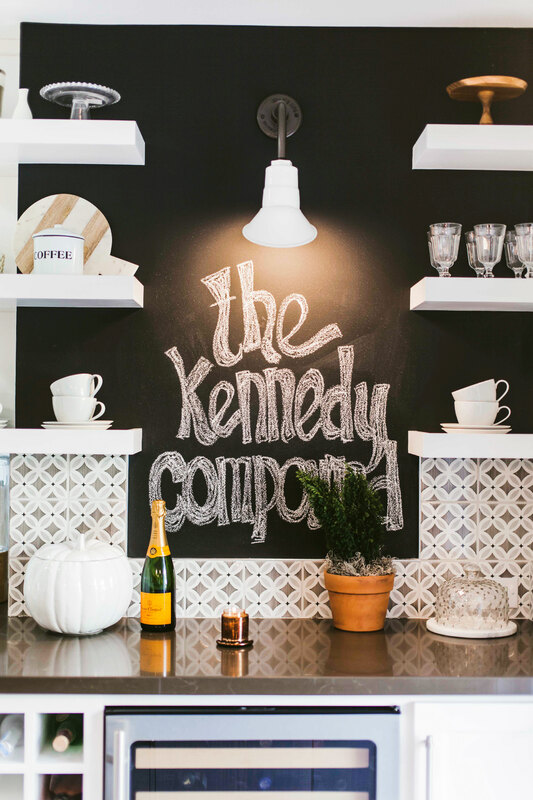 A girl after my own heart, Veuve and a sweet homie sentiment felt all over the home! I promise we only consider calling it a day and walking out to their lovely backyard for a minute or two. Up next, Lauren showed me where she gets all her work done, where I was excited to see yet another piece of Gray Malin, yet so different from her other selection. 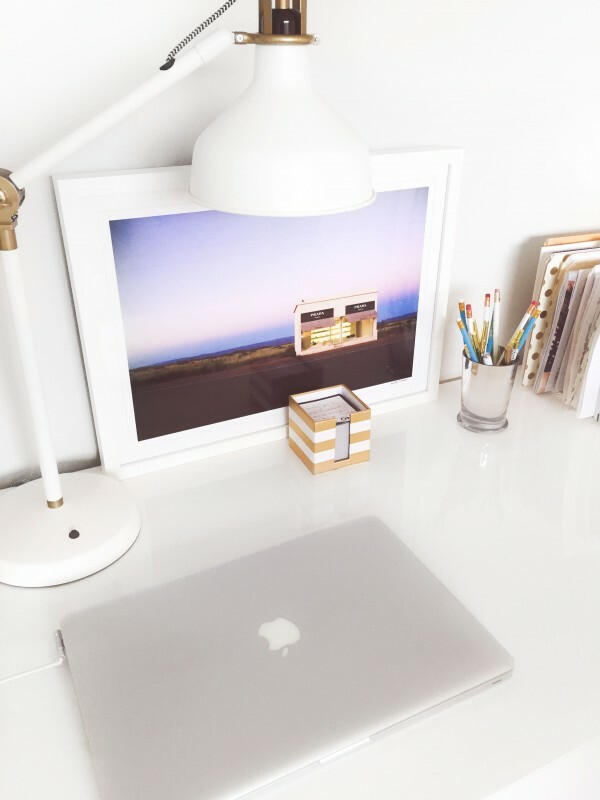 I love the idea of Lauren typing away and taking a break to gaze at the sunrise of Prada Marfa's Dawn. Coincidently, if you wanted to take a page out of Lauren's play book, you absolutely should today, then simply check out Prada Marfa collection. "We love relaxed and pretty environments, which paralleled with wanting to create that in our home. We also love to travel, so these prints and his brand truly represent our jet-setting personalities!" Thank you Lauren! It was a pleasure finally getting to meet you in-person as well as tour the beautiful home you and Jason have created. And, thank you all, as always, for following along!